Cala San Vicente is the third most populated area and it is important to emphasize its quietness and its wonderful views. Cala San vincente is the smallest resort on the island, the village itself is part of the municipal district of pollensa on the north west coast of the island. Approximately 60km north of the capital palma and 5km north west of pollensa old town. Cala San Vincente has buses and taxis available in order for you to reach the old town of pollensa and Puerto pollensa. Before the arrival of tourists, the municipal district of pollensa was one of the wealthiest areas on the island. Traditionally with strong links to farming and fishing. Cala san vincente is still essentially a fishing village that has made limited concessions to the islands tourist trade. The fisherman still use the beach for repairing nets and storing goods. The scenery is rugged and dramatic . 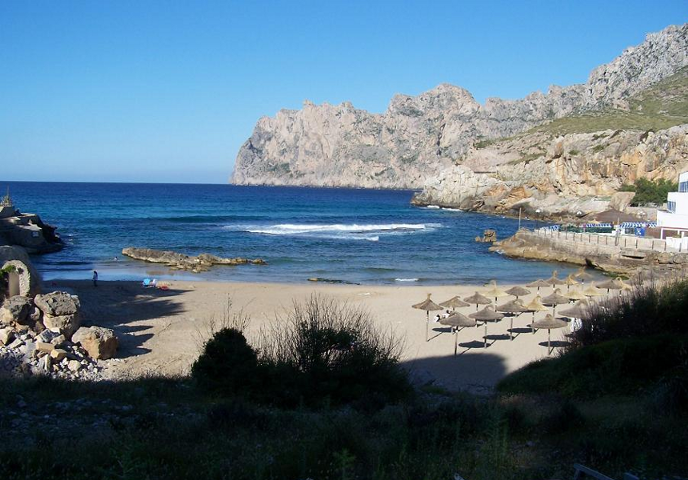 Cala San vincente is certainly not a place for nightlife and more suited to those wanting a quieter holiday. 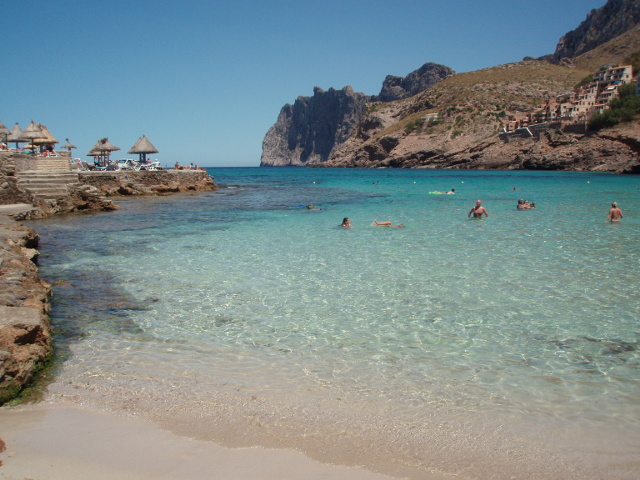 Cala San Vicente features a small group of inlets of light crystalline waters of which include “Cala Barques”, “Cala Clara”, “Cala Molins” and “Cala Carbo”. There is also a group of seven prehistoric caves, “L’alzineret”, belonging to the Mediterranean Bronze Age. You can quite easily catch a bus from the main bus stop in Puerto Pollensa to Cala San Vicente, and is well worth the short 15 minute ride. Cala San Vicente’s quietness is what makes it so relaxing to just spend a lazy day on the beach and swimming all around the beautiful inlets.